This museum has history dating back to 1856. 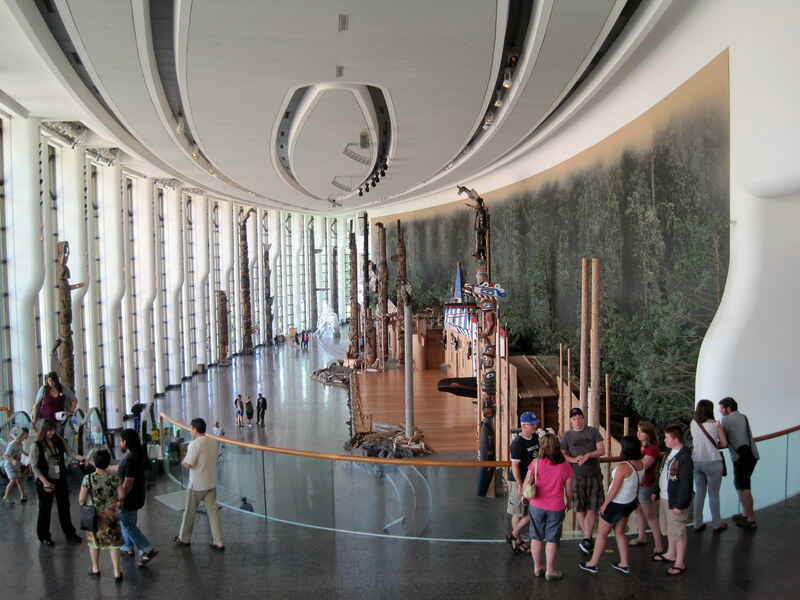 The first hall was to display artifacts for the Geological Survey of Canada, although it originally was situated in Montreal, it is now in Gatineau, Quebec (across the river from Ottawa). I highly recommend this museum for anyone, but especially for families. This is from the Grand Hall – and for the first time I noticed how the ceiling looks like the bottom of a kayak. 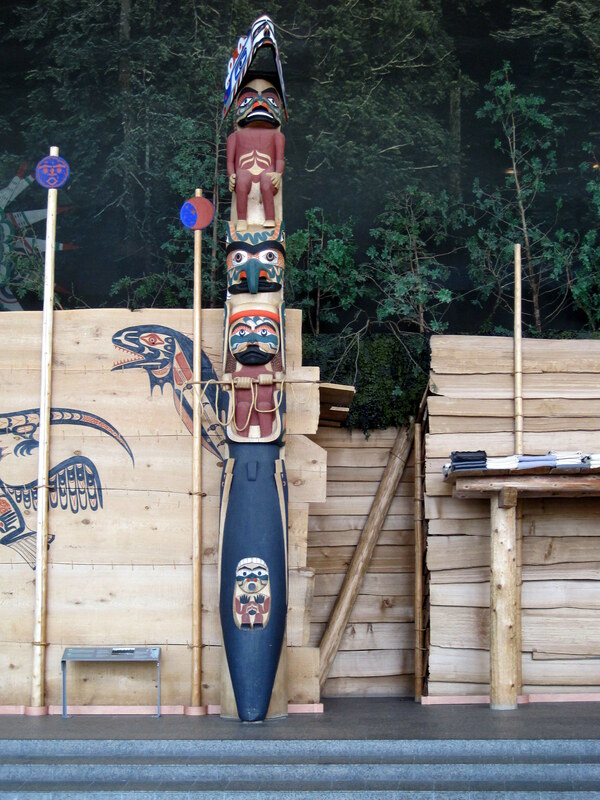 The photo below is from the Pacific Coast Aboriginal Exhibits. I wish in our part of the world, our government can in a way bring back the memories of the past life in a museum of this nature. But what is it that we can’t have such edifice around us?.